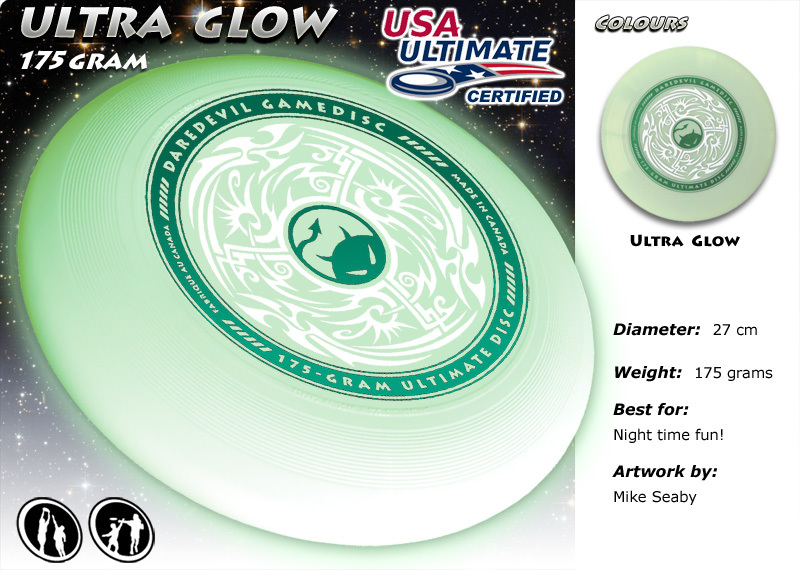 The Daredevil ‘Ultra Glow 175 gram Ultimate disc’ has been used in competitive gameplay throughout the world since 2002. It has been an official disc of the ‘Canadian Ultimate Championships’ since its creation. Designed by ultimate players and approved by the ‘Ultimate Players Association’. These official high quality sport discs are manufactured and printed in Ottawa, Ontario, Canada.